MK slams 'disgrace' as opposition refuses to reduce MKs at plenum allowing minister to go to helicopter crash memorial. The Knesset opposition has refused to agree to a reduction in its MKs at a plenum session, thereby effectively blocking Education Minister Naftali Bennett (Jewish Home) from taking part in the official memorial of the 73 IDF soldiers killed in a horrific helicopter accident 19 years ago. MK Shuli Muallem (Jewish Home) is to take part in the memorial, meaning that if Bennett were to take part as well there would only be 59 coalition MKs, erasing the coalition majority in the Knesset. If one more coalition MK were to go, the opposition could call a no-confidence vote and bring down the government with its majority. A reduction arrangement would have opposition MKs limited as well so as to avoid such a situation during the ceremony. Responding to the decision, MK Betzalel Smotrich (Jewish Home) on Wednesday morning voiced sharp condemnation on Facebook, calling it a "disgrace and inflexibility towards the bereaved families." Arutz Sheva has learned that Muallem was particularly offended by the opposition conduct. Her husband Lt. Col. Moshe Muallem was the most senior IDF officer to be killed in the 1997 crash, in which two transport helicopters collided while bringing soldiers back to duty in Lebanon. MK Merav Michaeli (Zionist Union) said after the publication of the move that "the negligence of the government is not the fault of the families." "As the opposition coordinator I hereby announce that I will allow a reduction (in opposition MKs) so that the minister will take part in the memorial to the helicopter disaster victims," she added, indicating that the opposition would alter its position. 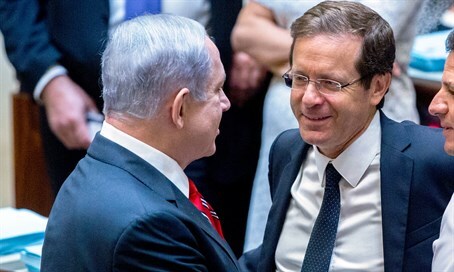 Michaeli's party head MK Yitzhak Herzog is the opposition chairman. Following the helicopter accident, an investigation into the incident found numerous defects in the handling of protocols, but failed to find the exact reason for the crash.